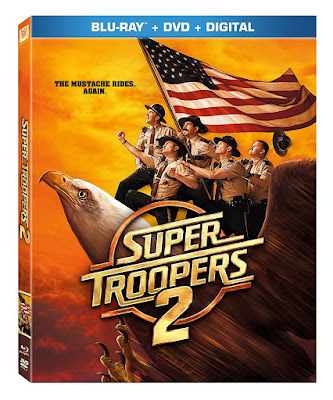 In Super Troopers 2, a border dispute causes trouble between the US and Canada. The troopers are ready to take on the crowd, and fight for their border. There really isn't much more to the story line than that. This movie is about the jokes, and the plot is only there to find a placement for those jokes. This film will never win an Oscar, but it will make you laugh. This was a great sequel that definitely lived up to the original. There's tons of slapstick humor, and jokes that will have your sides aching. It's a great celebrity cast including Rob Lowe and Brian Cox, and while it's predictable, it's still a fun movie to watch. Just try not to take it too seriously. 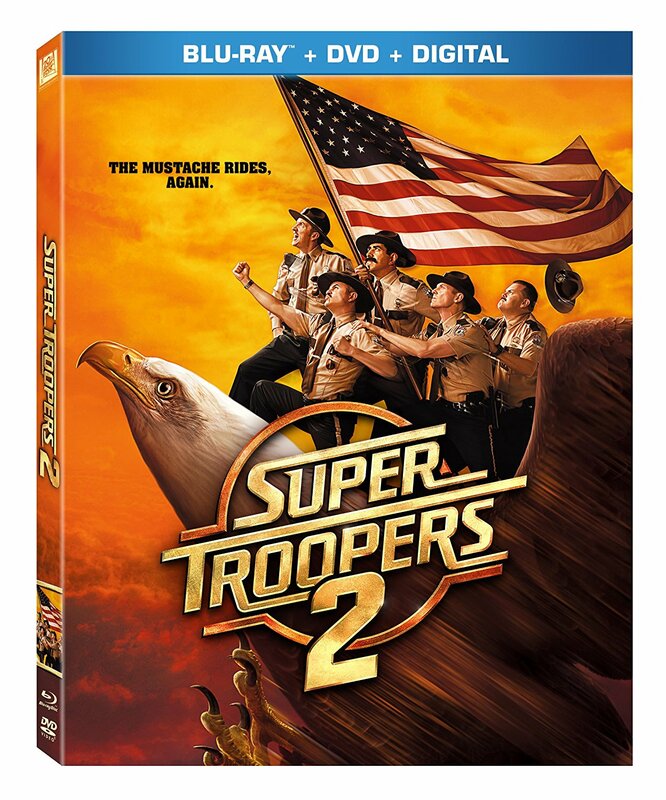 You can grab a copy of this fun Blu-ray in stores nationwide or online at Amazon.